All three victims were treated for minor, non-life threatening injuries and released from the hospital. Kim Johnson is the mom of Kayle and Kiersten Johnson. No charges have yet been filed, and the incident is still under investigation. 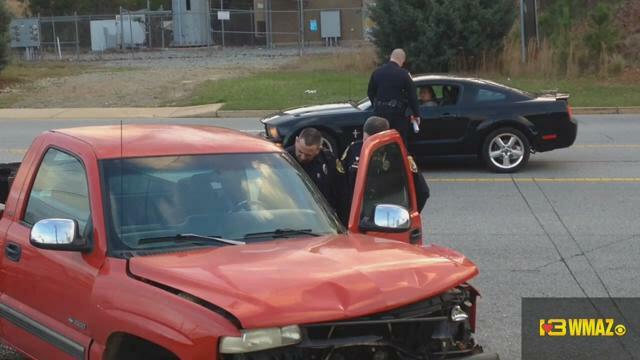 Three people are in a Macon hospital after they were hit by a car outside a Warner Robins store. Police say just after 4:30 Wednesday afternoon, three3 people were walking across the parking lot in front of GameStop at 2929 Watson Boulevard when they were hit by a 2012 Honda Accord, driven by 29-year-old Gary Walker Jr. of Fort Valley. Houston County BOE employee to compete on "Wheel of Fortune"
From Central Georgia to California, Houston County Board of Education administrative assistant Jan Morton fulfilled a lifetime dream last week. She got to try her hand at the "Wheel of Fortune." After making it to the final eight out of 120 contestants in a mock-game audition, producers asked Morton and her friend, Jan Leary of Atlanta, to participate as a team for the "Girls Getaway" themed week. Friends and family of a Warner Robins teenager killed Christmas Day gathered to honor his life Sunday. More than 50 people gathered at Sewell Circle Park in Warner robins to light candles, release balloons, and share memories of Jerrell Walker. Walker was killed Christmas night. Walker's father, Jerrell Sr., says his son was well spoken, well mannered and a lovable person. "We're just putting faith ... in God," he said. "And we hope when all of us come together, we can get the answers we're really looking for." According to a press release, Antonio Bagley told Warner Robins Police Walker was trying to rob him, so he fired a pistol at him. Warner Robins Police are still investigating the circumstances surrounding the shooting. 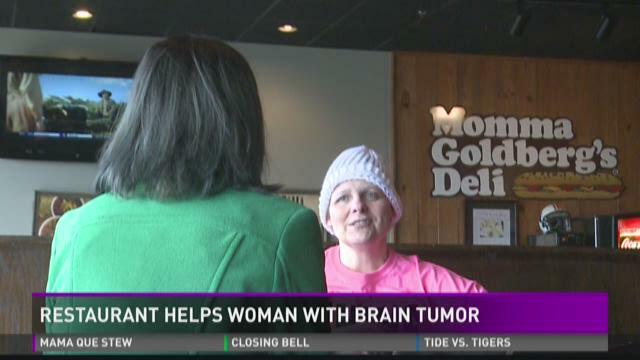 A fundraiser at Momma Goldberg's Deli in Warner Robins has raised $4,000 for a woman with a brain tumor. For the past two days, the restaurant has been donating 20 percent of their sales to Janet Hamlin's treatment fund. Matching donations from Health Qwest and Momma Goldberg's corporate, as well as additional donations from customers, have caused the total to skyrocket. The staff was blown away by the community's response to the fundraiser. They've doubled their normal weekend sales. Heath Gill, the manager of the restaurant said the support this weekend made him happy. "My dad actually had to stop in Auburn to pick up more food for us, because we were running out of bread and meats and stuff like that," Gill said. "So, it's been a crazy weekend and I hope that continues, and I'm glad to see the community show it's love like it has." People in Houston County have the chance to chat face-to-face with three of their state legislators. Saturday morning, people can enjoy their coffee of choice with their topics of choice. In a town-hall style meeting at Bare Bulb Coffee, Senator Larry Walker III and State Representatives Heath Clark and Shaw Blackmon plan to chat with their constituents over a cup of joe. "For me," says Blackmon, "It's to find out whatever it is they're most interested in and then where they stand on a lot of the issues we may be facing." This will be Representative Blackmon's first legislative session. He not only wants to offer his ideas, but he also wants to hear voters' thoughts, too. "If they have an area of expertise that we, maybe, don't have,"Blackmon says, "We can use that when making our decision on how to vote." A Perry woman was diagnosed with a brain tumor after years of being in remission. But her funds are low and she has no way to pay for her treatments. Now, the owner of a Warner Robins restaurant has decided to help her out. This weekend, Momma Goldberg's Deli on Watson Boulevard is donating 10% of their profits to Janet Hamlin and giving 10% off each purchase.